Bombings. ISIS attacks. Stories of kids, moms and dads caught in the crossfire. These are the things that have made growing up in Syria a living nightmare for children who are too young to remember a time before war. But for 10-year-old Helen, those old terrors were only replaced by new fears in the German refugee center where she and her family sought refuge. Helen and her family were among the 1.2 million people who sought protection and asylum in Germany from 2015 to 2016. As they began arriving, every level of German society mobilized. The Templehof Airfield shelter in Berlin, where UNICEF first met Helen, was up and running with only two days notice before the first refugees moved in. But despite all the best intentions, the German welfare system quickly overloaded, posing risks to children. 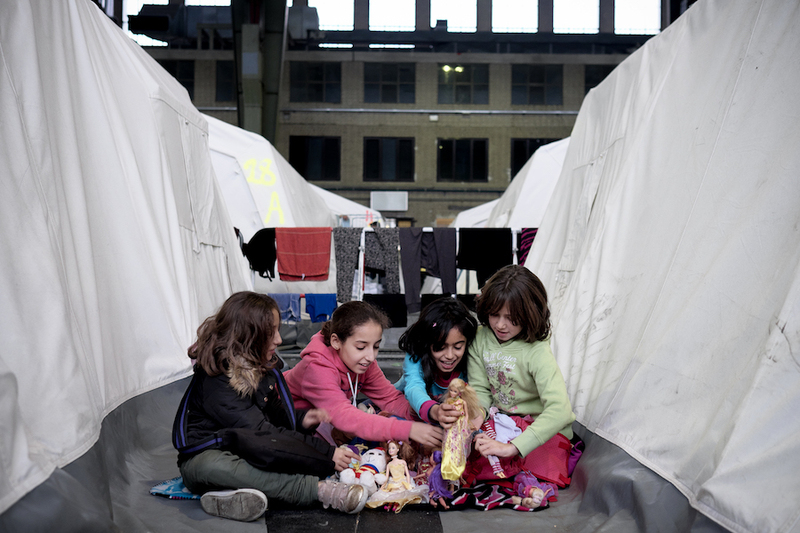 A joint German government-UNICEF study found that children and women were particularly susceptible to violence in temporary reception centers. With backlogs of asylum claims stranding some families in centers for up to two years, the assessment also found that children could go several months without full access to schooling and the emotional support and recreational activities, which are every child's right. In response, the German government, UNICEF and other partners banded together to create systems to better monitor and support children. Since then, Germany has successfully implemented and scaled up those plans so that children living in refugee centers feel safe and cared for during their stays. Nevertheless, the large-scale movements of refugees and migrants around the globe still pose grave threats to the youngest victims of war, poverty, persecution and climate change. Children uprooted are vulnerable to many dangers, among them abuse, violence, exploitation, extortion, smuggling and discrimination. According to Beyond Borders: How to Make the Global Compacts on Migration and Refugees Work for Uprooted Children, three-quarters of the children who arrived in Italy via the Central Mediterranean route report having been held against their will or forced to work without pay. Of people interviewed for a 2014 survey, over a quarter of trafficking victims were children. 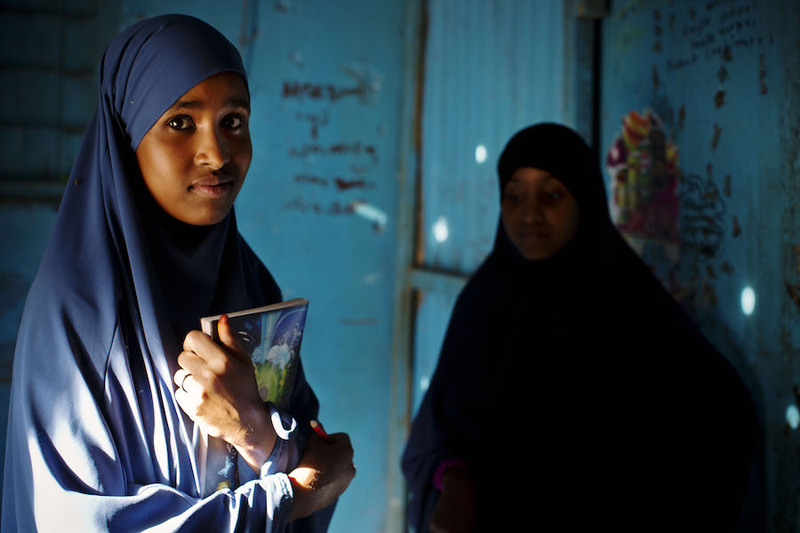 Fourteen-year-old Nadira Mohammed’s sister is one. In January 2017, she left the family home in Somaliland with traffickers. Prolonged drought in Somalia, where Nadira and her family live, has forced over a million people to leave their homes in the past year. The crisis has created a booming business for traffickers throughout Somaliland who promise safe passage to Europe and a better life. What many deliver instead are brutal beatings, torture, enslavement and even death along on the way. Nadira’s mother has already had to pay hundreds of dollars to her daughter's traffickers, though the family has no idea where she is. But that hasn’t deterred Nadira from her plan to follow in her sister’s footsteps. As soon as she is old enough she will leave, too. For teens facing a life at home with no prospects, traffickers seem to offer the only way out. 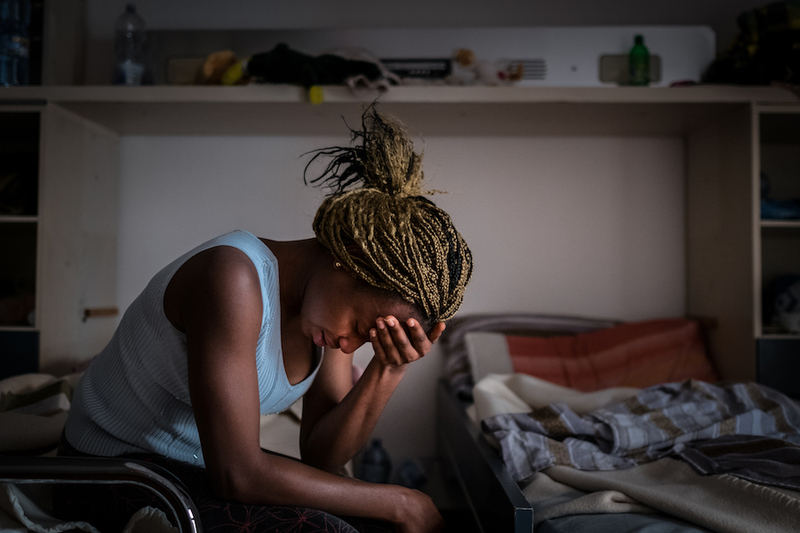 Mary, 18, from Benin City in Nigeria, is one of the legions of girls and young women who have been trafficked to Italy under the promise of work as cleaners or maids — and then forced into prostitution. Only 17 when she left home, Mary was raped on her journey and imprisoned during a stopover in Libya that lasted for months. Thankfully, she finally made it to Italy, where a chance meeting with an attorney upon arrival secured her release to a safe house. Though she is safe, the traffickers, angry she gave them the slip, have begun threatening her mother and demanding payment. Waiting in limbo, she has to fight hard not to give in to despair. Cases like Mary’s are why UNICEF is calling upon law enforcement to clamp down on trafficking and for the appointment of qualified guardians and systems to keep migrant children better informed about their rights. UNICEF has also set an example by providing innovative care and legal support to migrant children as they navigate resettlement. Yahya, a 17-year-old from Burkina Faso, has benefited from those efforts and more. 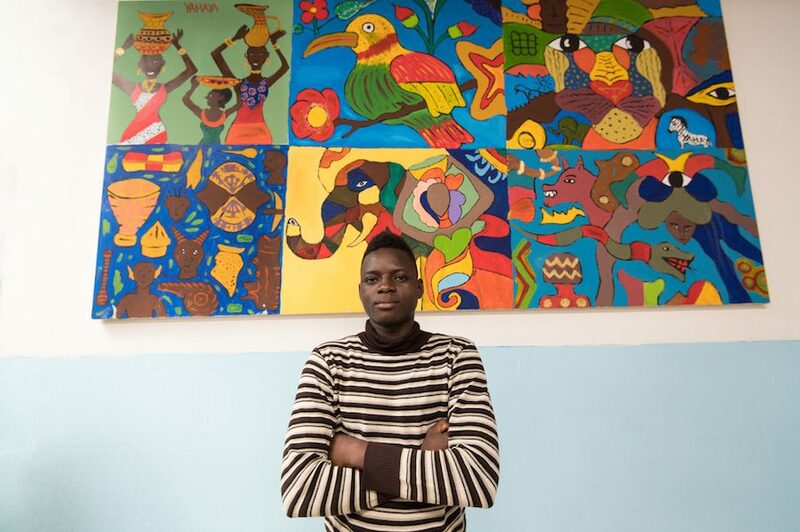 An aspiring painter, Yahya is one of many unaccompanied young migrants who are far better off thanks to the reception centers run by the UNICEF-supported Centro Astante in Palermo, in Italy. Centro Astante handles registration and asylum application for young migrants and provides basic hygiene items and clothing and legal aid as well as educational, athletic and recreational activities so that time spent waiting for that eventual transfer to secondary reception centers is spent productively. The large number of refugees and migrants seeking protection and asylum has required nations that are committed to providing that level of care to dig deep. Germany took on the challenge by looking at the disparities between the services available to refugee and their German peers along with the unique threats refugee centers posed to all vulnerable groups — not just children and women but also lesbian, gay, transgender, queer and persons with disabilities. In response, UNICEF and the German government launched an initiative in early 2016 to better care for and protect refugees and migrants and support their integration. Minimum standards were set for the protection of all people living in centers. House rules, a plan to prevent and respond to violence; an independent process for handling complaints; safe, hygienic conditions and separate Child Friendly spaces are just some of the protections put into place. To help with implementation at the refugee centers across Germany, UNICEF developed monitoring tools and training. Germany has emerged in the global refugee crisis as a model for innovative practices and reform. But as Uganda’s record for providing asylum to people fleeing war and persecution proves, high-income nations aren’t the only ones stepping up. As of September 2017, Uganda was hosting over 1.5 million refugees — with over 1.1 million refugees from South Sudan, 288,434 from the Democratic Republic of Congo, and 41,932 from Burundi and well over 37,000 from Somalia. Though escalating conflicts since 2016 have raised the stakes, Uganda maintains one of the most progressive refugee protection policies by granting families a plot of land and the right to work and open their own businesses. Refugee children also have full access to the educational system. Palunda Jova Tabi is from South Sudan, which is fueling Africa's largest yet chronically underfunded refugee crisis. But now, having escaped the violence and settled in Uganda, he is enrolled in school and looking to his future. “I love to study science because it is easy for me,” says the young boy, who's thriving as he works toward his ultimate goal: to become a doctor so he can make a difference.